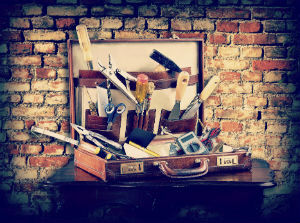 An advisor who serves boomer clients needs a well-equipped toolbox. So what to put in it? A baby boomer himself, Jon Ten Haagen, CFP, RPC, acknowledges that the retirement picture for many of the 77.3 million members of his generation isn’t pretty. “Too many baby boomers don’t pay attention to how much they have saved for retirement,” observes Haagen, founder of Ten Haagen Financial Group in Huntington, N.Y. Perhaps they’re not paying attention for fear of what they’ll find if they do. In its annual retirement confidence survey for 2013, the Employee Benefit Research Institute found that among workers age 55 and older, 43 percent have saved less than $25,000, and 36 percent have saved less than $10,000. Yet the importance of an adequate retirement nest egg isn’t completely lost on boomers, according to Jafor Iqbal, managing director of the LIMRA LOMA Secure Retirement Institute. and (3) cover medical expenses during retirement. As an advisor who serves boomer clients, your job is first to get them to pay attention to their retirement finances, then to find the appropriate tools to address their priorities. Doing so demands that you have a well-equipped toolbox. So what to put in it? Lifetime income guarantees such as the popular guaranteed minimum withdrawal benefit can be purchased as an add-on to both variable annuities and fixed index annuities. Boomer clients seeking more aggressive growth (such as to make up a significant savings shortfall) might opt to add one to a variable annuity, while others might prefer to trade some upside potential for the principal protection afforded by an FIA. Certain riders provide flexibility in when to turn on the income stream, whether it’s five, 10 or more years into retirement. Immediate annuities and their increasingly popular cousin, deferred income annuities, are also viable options for creating a retirement income stream, according to Iqbal. In many respects, the DIA works like a single-premium immediate annuity, where the contract holder invests a lump sum by rolling over qualified funds or taking money from a low-earning CD. But instead of payments beginning immediately, they’re deferred for five, 10 or more years. In-plan annuities are another way to convert qualified funds [such as those residing in a 401(k)] into a pension-like guaranteed income stream, although today, this emerging product is offered by a limited number of retirement plan providers. Those that are available often package downside principal protection with some ability to tap market gains, plus a guaranteed income stream. Rely on annuities to supply some, but not all, of a boomer’s income needs in retirement, suggests Ten Haagen. For the sake of diversification, he looks to other income sources such as company stocks with a history of paying solid dividends, as well as fixed vehicles such as municipal bonds, corporate high-yield bonds and bond mutual funds built around these instruments. Given the current interest rate environment, he says, it’s wise to ladder these bond and bond fund investments and to keep durations relatively short. Another invaluable tool for advisors in addressing boomer retirement income needs, according to Iqbal, is the expertise to manage Social Security benefits, because once boomers hit their 60s, they’ll face a litany of Social Security decisions that likely will reverberate throughout their retirement years. To elect to start taking Social payments at age 62 and have their benefits reduced later, or to delay payments until 66 or 67, or even age 70? How to best utilize the Social Security spousal benefit? And when is it wise to explore a “file and suspend” strategy? These are questions advisors with boomer clients need the know-how to answer. For boomers who want both growth potential and principal protection, the fixed index annuity is often a viable solution. With an FIA, they sacrifice a measure of upside to gain protection on the downside, an appealing combination for boomers who lost a sizable portion of their savings during the market nosedive of 2008 and 2009. A relative newcomer in the annuity market, the hybrid dual sleeve annuity features a design that allows the contract-holder to purchase units of a variable annuity and units of a fixed annuity. The non-guaranteed variable sleeve is for growth, while the fixed sleeve houses guaranteed investments to support optional features such as income and death benefit guarantees. Assuming the prevailing low-inflation environment won’t last forever, boomer retirement nest eggs also need protection from inflation risk. That protection is available, for a price, via annuity inflation/cost-of-living adjustment riders, notes Iqbal. Equities provide perhaps the most powerful combination of inflation protection and growth potential, according to Ten Haagen. “You have to stay ahead of inflation, and equities are the best way to do that,” he says. Ten Haagen says he favors managed accounts for their versatility. Not only do the good ones deliver diversification to mitigate portfolio risk (with investments in equities, fixed vehicles and alternative asset classes), they also address inflation risk (via equity exposure) and income needs (via fixed investments). The boomer generation’s concern about covering medical and health care expenses during retirement is valid, given how quickly those expenses can devour a retirement nest egg. Indeed, Fidelity Investments recently projected that a 65-year-old couple retiring in 2013 will need $220,000to cover their medical expenses throughout retirement. Accordingly, for boomers and their advisors, products that mitigate the financial risk associated with long-term care are worth a hard look, says Iqbal. One option is stand-alone long-term care insurance, which can be tailored to a range of circumstances, with varying coverage levels and a variety of moving parts. A class of hybrid insurance products with an LTCI component represents another option. That class includes life insurance products (such as cash-value universal life) packaged with an LTC benefit. These LI+LTCI products are gaining appeal largely for their ability to use leveraged dollars to secure both life and LTC coverage. If the policyholder never needs long-term care, that money stays inside the policy, to eventually pass to beneficiaries on a tax-favored basis. “The market for these products is growing very fast,” says Iqbal, citing an increase in annual premium from $455 million in 2007 to $2.5 billion in 2012. Perhaps those numbers suggest baby boomers have begun to pay more attention to their retirement needs after all.